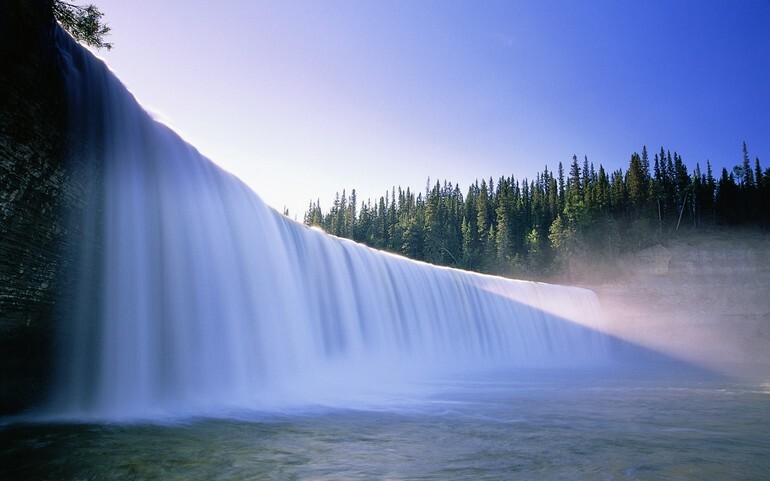 Waterfalls are one of the most beautiful majestic beauty that our mother nature has blessed us with. Waterfalls signify the power, beauty and the strength of nature. These beautiful waterfalls would leave you in amazement with there marvelous size, Strength and elegance. Experience these worlds 9 most best magnificent largest, tallest, biggest waterfalls in the world that you should definitely visit at-least once in your lifetime. 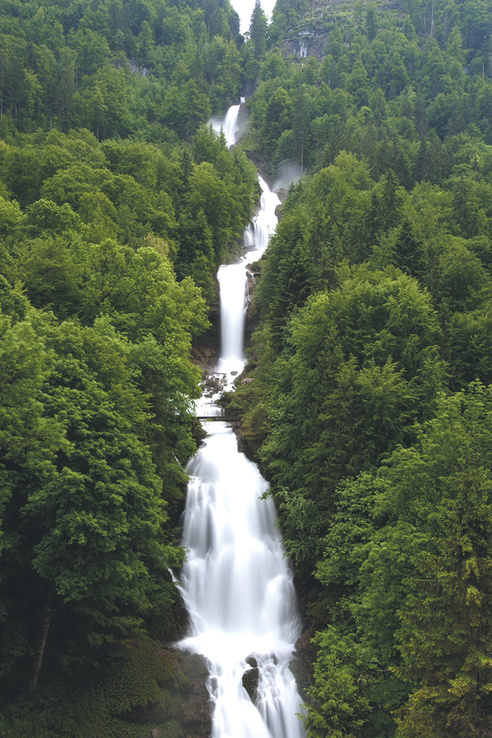 These Falls are located amidst the mountains, forests and alpine meadows with breathtaking views of the blue lake Brienz where you will experience a leisure soothing relaxing life. The falls are the main attraction, but what sets these falls apart from others is the journey to reach the falls, you need to travel by steam boat and the toy train which are almost over 100 years old, giving them a romantic charm. Imagine a beautiful scenery that comes into life at this falls, you are having a drink (Tea/coffee/Alcoholic drink) and this beautiful waterfall is right in front of you, visible from your hotel room. How to Reach- Nearest popular city is Interlaken, you can take bus from Interlaken or take boat ride on lake Brienz from Interlaken. 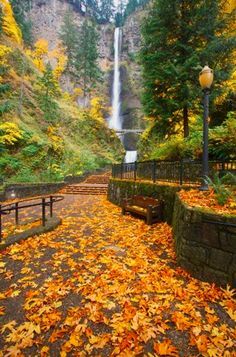 Multnomah falls lies along with the Columbia river Gorge. The region around is filled with hundreds of magnificent falls. These falls are the tallest in the Oregon region which drops in 2 steps with upper falls having height of 542 feet and the lower one having height of 69 feet. Here you will experience the power and the beauty of the nature from too close. There is a bridge build in between the falls which makes this fall different that the rest falls of the world. You can stand on the bridge and get the awe-inspiring and breath taking view of the nearby falls, mountain cliffs, roaring water and the scenic beauty. plan your trip in the spring time for experiencing the beauty with flowers bed below your feets. How to Reach- Get down at Portland International Airport and from there it is a 30 minutes drive to the falls. 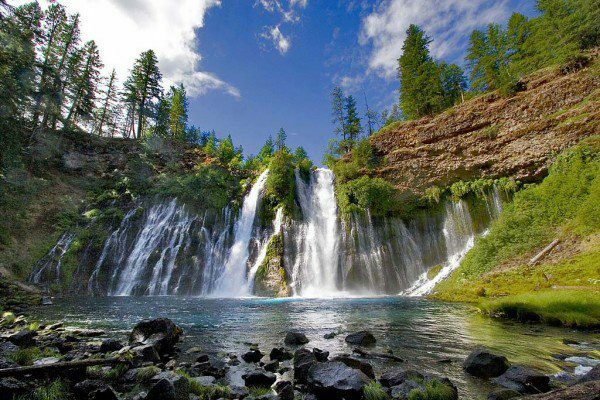 Barney falls is situated amidst the beautiful lakes, forest and mountain cliffs in Barney memorial state park, Shasta county, California. The falls stand at around 129 ft and the water keeps gushing out at a constant flow from the underground spring. Many adventurous activities takes place around the falls like short hikes, long hikes, biking, horse back riding, long trails on west coast and the Pacific Crest Trail. How to Reach- Its about an hour drive from Redding and Mt Shasta. Yosemite falls are located in Yosemite National Park standing tall at the height of approx 2400 ft. making it 5th tallest waterfall in the world. The falls are situated amidst the forests, tall hills, lakes which together make up for a very beautiful scenic beauty and relaxing soothing atmosphere. The falls can be seen in 2 parts, the upper part has a taller steep fall while the lower one has the steep fall of almost half as the upper fall steep. The combined view of the both parts together is stunning. The best time to visit the falls would be the spring time when the snow at the peaks start to melt. 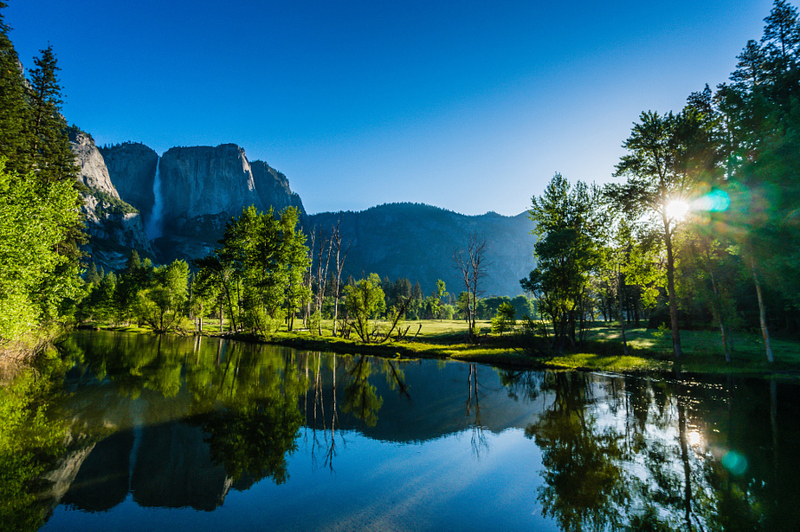 How to Reach- We suggest that you get down at San Francisco, cover this amazing city and then head towards Yosemite falls situated at around 300 km distance from here. Victoria falls are considered as the largest falls in the world, located on the Zambezi River with the length of around 1 km and height of more than 100 meters. 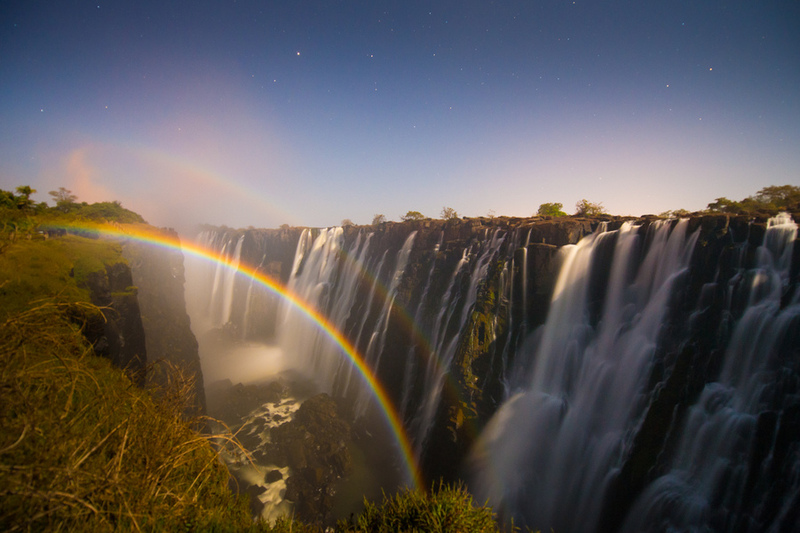 Victoria falls come under the UNESCO World Heritage Site. During summer the flow of falls is reduced to extent that you can actually walk over to some places near falls, while during rainy season the waterfalls are beast with the water flow of an average of 500,000,000 liters. How to Reach- Victoria Falls railway station is the closest railway station to this falls, from air you can come from Maun, Botswana. Croatia is popularly known as “The land of Waterfalls”. 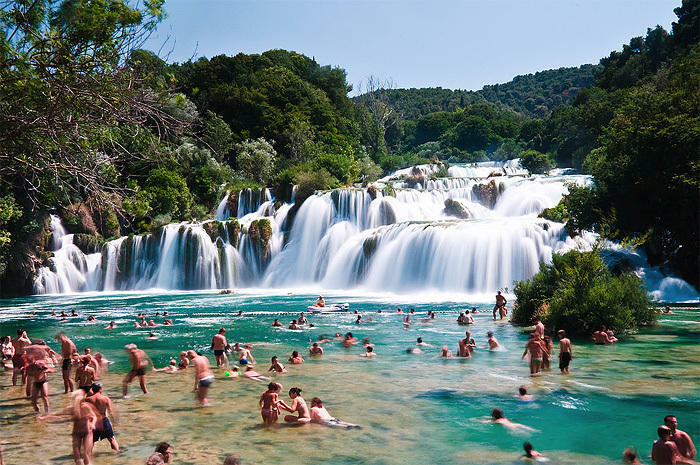 The most popular of them in Croatia are plitvice and krka waterfalls. Many tours and traveler’s offer a 8 days trips in Croatia, but you can go ahead and plan on your own to these most beautiful waterfalls of the world. Both the falls are situated amidst the National parks where you can sit relax all day long and enjoy the soothing atmosphere.At plitvice the crowds come in large number, while at krka the crowd is comparatively lesser. At plitvice swimming near falls is not allowed while at krka you can enjoy leisure swimming. Both the falls offer stunning scenic view of the mountains and forests nearby, so both the falls make up for beautiful waterfalls destinations. How to Reach- Zagreb airport is good option to reach these falls, its around 140 kms with 2 and a half hours of bus ride from Zagreb. Iguazu falls runs along the Iguazu River amidst the rain forest surrounding the hill at the border of Brazil and Argentina. You can see here 275 different waterfalls running for 2.7 km, most impressive of all is Devils throat which is 490 by 2300 feet. There is a bridge from where you can experience the huge Iguazu falls from very close, which is usually packed with thousands of visitor’s during the peak season. How to Reach- Reach to Iguacu Airport on Brazil side and Iguaza airport on Argentina side, both airports lie in 10 kms distance to these falls. 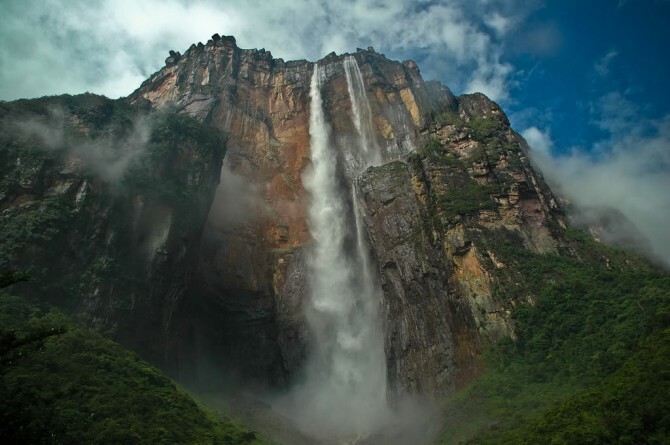 Angel falls is the highest waterfall in the world at 807 meters. 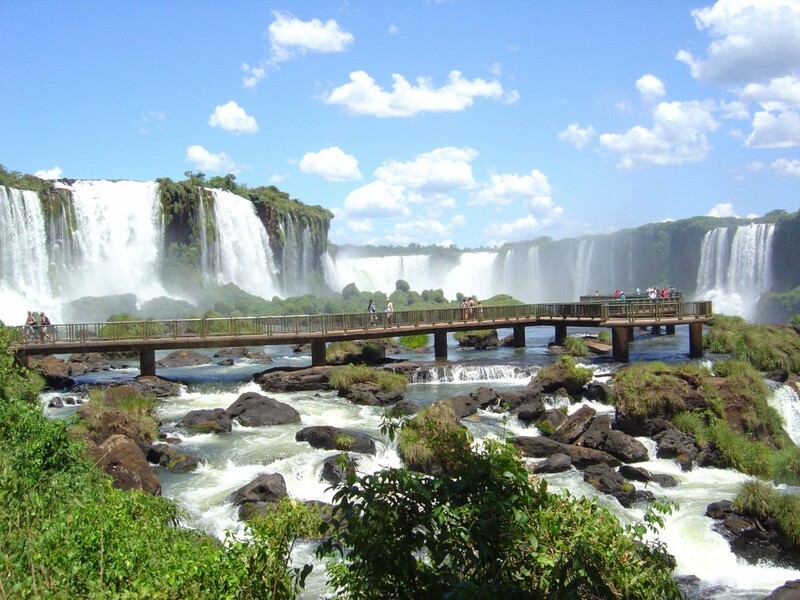 These falls are located amidst the jungle and also situated at the least accessible location in south America. The tour at this falls are popular during the rainy season and the locals people will help you for a tour around the falls. These falls are 3212 ft. tall which is approximately 15 times the height of the Niagara falls. For thrill seekers their are boat rides, swimming in lakes, sleeping in hammocks, enjoying the beautiful sunrise in the morning and the most thrilling of all is that you can sky dive from the world’s highest water falls. How to Reach- It is situated on 15-30 minutes from Canaima Airport, it is 2 hours boat ride from Campamento. Niagara Falls is the king of all the falls with the most breath taking view. 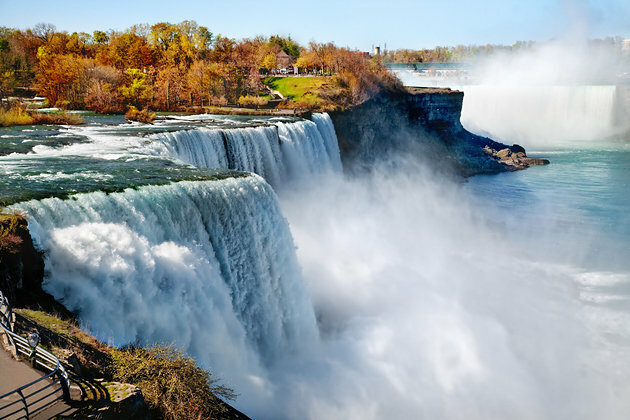 It is the biggest waterfall of the world, situated at the Niagara river with a set of 3 largest falls which combined together produce the highest water flow rate of any waterfall on earth. This is most romantic waterfall in the world given its scenic beauty, also popularly called with the nick name “The Honeymoon Capital of the World”. The boat rides will take you close to these majestic falls where even from the distance of around 200 meters you can sense the power, strength and the beauty of the falls. During late evening the lightning at the falls creates a magical experience for visitors. How to Reach- These falls are easily accessible from US and Canada. Closest cities are NewYork, Pittsburgh and Cleveland from US & Toronto from Canada. So Plan A Trip Soon To one of best waterfalls in the world..!! These majestic and huge Waterfalls are a must visit at least once in your lifetime. We hope that you Liked our list of the largest, tallest, highest waterfalls of the world..!! Do like us on Facebook, share this article with friends and family. Subscribe to ‘Stunning Always’ to receive more new interesting best travel destinations articles right into your email inbox. Do comment and share your experiences about these 9 falls or other waterfalls that you have visited and enjoyed…I’m looking forward to here about your Waterfall experiences. The waterfalls are really beautiful , I will soon plan a trip to one of these falls soon.